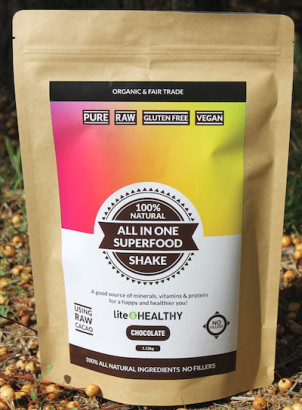 All-In-One is an enjoyable 100% natural super-food shake packed with 11 natural, healthy and amazing ingredients. 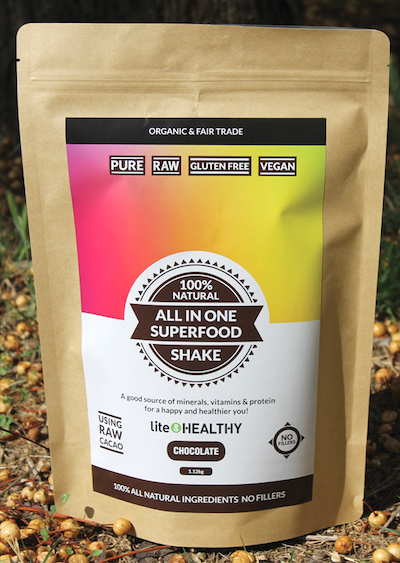 As an all-in-one shake, it’s specially formulated and designed for people on the go. Organic Fermented Brown Rice Protein, Cacao or Vanilla bean (depending on flavour), Mangosteen, Maca, Green papaya, Spirulina, Chlorella, Stevia, Acai Berry, Gooseberry and ground Chia Seeds.